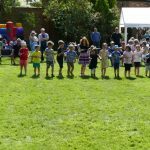 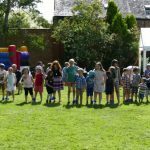 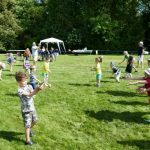 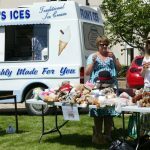 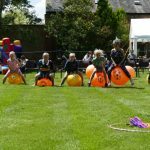 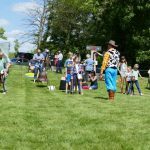 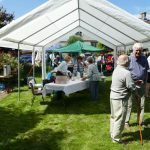 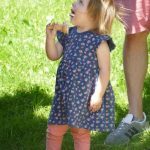 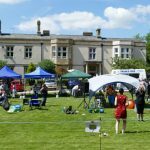 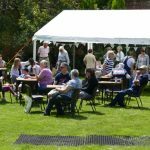 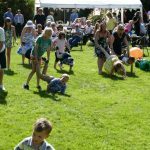 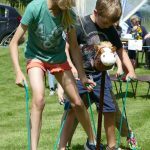 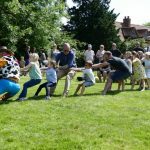 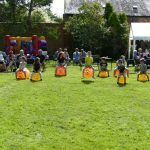 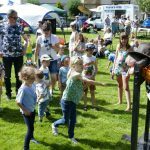 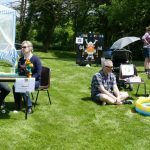 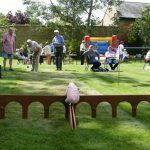 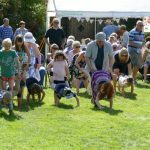 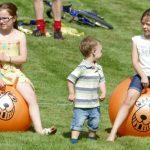 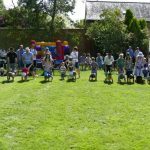 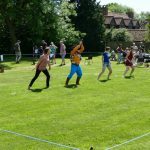 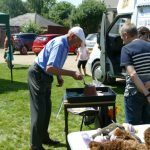 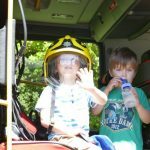 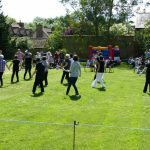 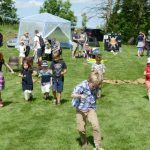 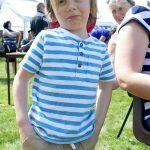 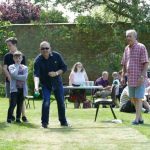 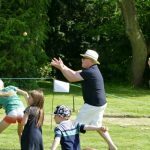 The weather forecast delivered what it promised for our annual Village Fete and the sunny, warm weather encouraged lots of visitors who all appeared to be thoroughly enjoying the spectacle. 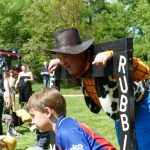 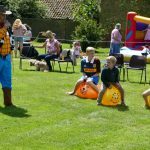 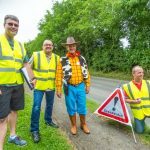 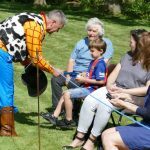 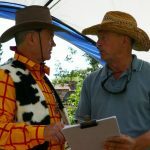 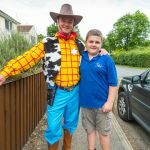 Woody from Toy Story hosted the event to the delight of the children who participated in competitions such as “Smelly Wellie”, “Space Hopper Grab”, “Plank Racing” and “Tug of War”, which incidentally was initially won by Woody’s team until they were disqualified for having to many people on their end of the rope! 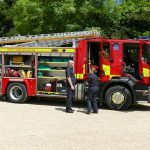 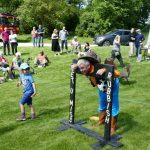 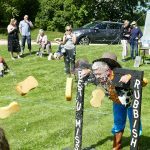 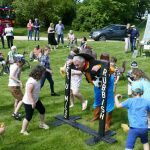 Woody was sent to the stocks in disgrace and was pretty wet by the time the children had finished throwing sponges at him but was well and truly drenched when the children, aided and abetted by the Sawtry Fire Service, turned their hose on him! 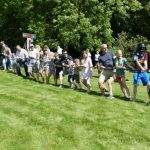 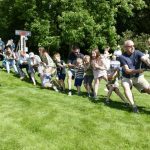 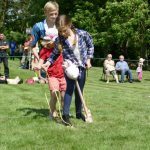 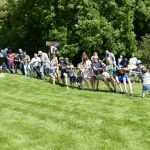 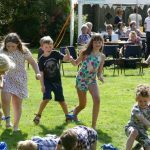 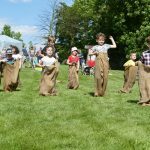 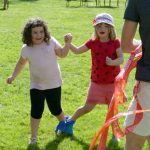 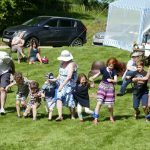 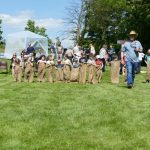 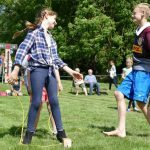 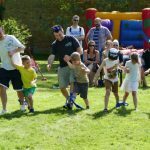 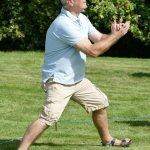 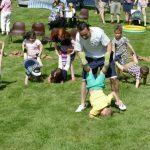 The children went on to compete in the egg and spoon race, sack race, three-legged race, the wheel barrow race, a space hopper sprint and a rather messy game of egg throwing and catching! 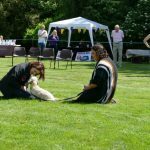 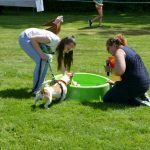 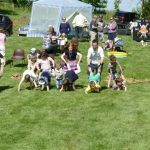 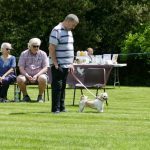 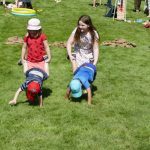 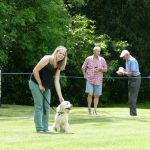 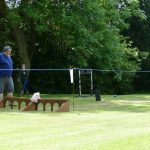 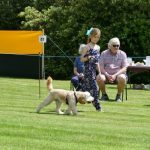 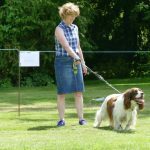 Lots of four legged friends took part in a Companion Dog Show, brilliantly run by Becky and there were loads of games to play around the arena. 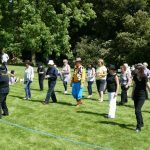 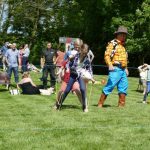 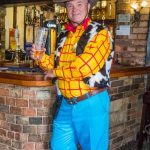 A Zumba demonstration and a line dancing demo also provided an entertaining spectacle particularly when Woody joined in and spectacularly failed to keep up! 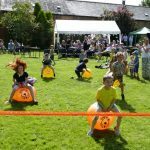 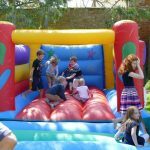 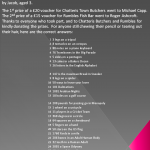 This annual event is a joint effort by St Nicholas’ Church and Glatton Village Hall and the profit is shared between the two. 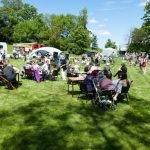 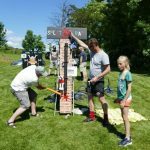 This year, taking were up on 2016, partly because of the warm, sunny weather and partly because good words had been spread by those who came last year and this encouraged others to come to our lovely village. 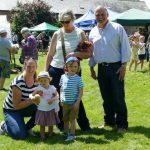 This years’ net profit was £1,968.30 of which £1,180.98 went to St Nicholas’ Church and £787.32 went to Glatton Village Hall. 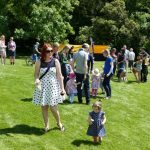 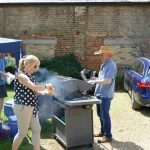 The event would not have been possible without the generous help from an army of helpers, organisers and supporters who helped set up and man stalls, cook BBQ food, serve drinks & cakes and cleared away after the event. 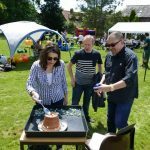 They are too many to mention but they know who they are! 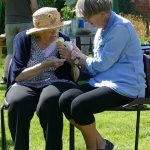 A special vote of thanks to St Georges Care Home and its staff who kindly allowed us to host the event in their lovely grounds. 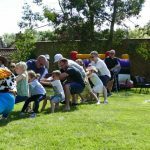 Thanks also to Sawtry Fire Service for being such great sports, and to the Line Dancers and Zumba Instructor. 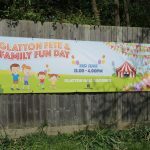 Finally, and most importantly, a massive thanks to all who came to the Fete & Fun Day and enjoyed a great day out. 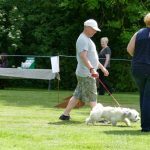 Without you an event like this simply would not be possible. 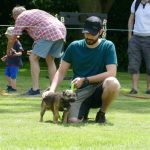 We hope you enjoy these great photos taken by Paul Cole.